So I have already written 2 previous posts on Fordham Law School’s annual Fashion Law Symposium, thru the Fashion Law Institute. Time has passed since the symposium, but the topical discussions were still worthy of a Fashion Nexus write-up! In addition, I have yet to share the major fun, non-topical portion of the event, a special fashion show by technological fashion brand CuteCircuit. So throughout this post are various images from this exciting runway presentation!! But back to the panels, there was Power Dressing: Politics, Dress Codes, and the Public Eye. I was not present at this discussion, but it was all about looking at public figures, and one’s appearance being scrutinized and criticized. Fashion is a means of communication, so many who are in the public eye, politicians, celebs, executives, and the like use their clothing to establish an image and/or convey a message. Media coverage has also been ever-increasing in this area, and has become quite controversial, inspiring campaigns such as #AskHerMore and backlash over gender-specific dress codes. So how does commentary about clothing affect the wearer, and should this type of commentary be off limits? What constitutes power dressing in an era when hemlines no longer rise and fall by fiat? And when organizations contemplate dress codes, how can they stay on the right side of both public opinion and the law? In light of the wearable technology fashion show we would all later experience, this topic of discussion was spot on. Fashion and technology is on the rise. It’s a fast growing sector, from luxury consumer shopping at Ralph Lauren with the Lauren Ricky Bag with light or to Apple’s rose gold watch. But wearable tech is not the product of one industry, it’s two. A previous panel discussion from another year discussed patents and data privacy in the context of wearable. So with this discussion, the focus was shifted to how best to bring together these two industries, the different legal cultures, especially in the area of IP protection. Plans were discussed on how brands could source out for this tech work, such as with license agreements. There was also talks then again to budgets and how to allocate for IP protection. This area is still emerging so I am sure it will be a topic at fashion law panels to come. 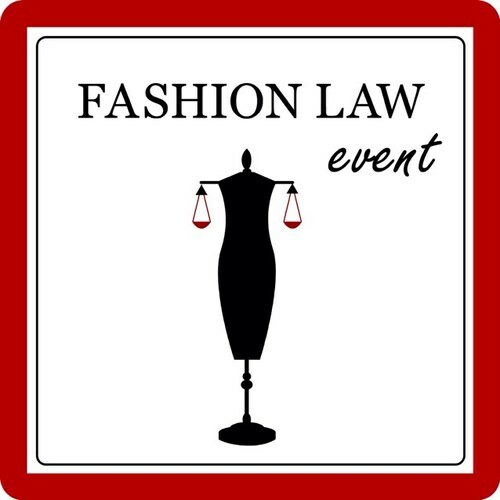 All in all, I had a great time covering the Fashion Law Symposium and it was amazing now share these fashion law areas with all of my readers. In light of Fordham Law’s recent news with now having fashion law be an academic degree, thanks in part to the CFDA, these continued discussions on Fashion Law, and the many aspects it entails is highly important in the fashion industry. I look forward to continuing my research and discussion in this growing field! Each year, Fordham Law School’s Fashion Law Institute puts on their annual fashion law symposium. This year there was 6 highly engaging topics. With so much to say about each one, my symposium posts will be in 3 parts. So this is Part 1, enjoy! Yolanda Wardowski of Avalon Securities, Ltd. I was not present at this particular panel, but the goal was to discuss investment opportunities as related to the fashion industry. Important questions for this topic area were — “How has the market for fashion houses changed in half a decade?”; “What are the factors to consider in acquiring or investing in a fashion company?”; And from the designer perspective or that of an independent label, what are the pros and cons of working with an investor, how do you identify the ideal suitor, and when is the timing right? I’m positive this was a riveting discussion and it presents many legal and business issues that designers and brands must consider. Moderator: Ewa Abrams from Tiffany & Co.
All in all, what we are left with is unpredictable IP laws, especially in the areas of trademark protection. The global shopping market is ever-present and highly accessible. So how do fashion companies and their counsel view this power struggle, and what strategic maneuvers are most effective? Vince Castiglione began this discussion, going over the overlap of IP & technology. He specifically looked at patents, the different approaches and how the rise of technology has impacted patent laws. With the industry of fashion becoming very tech-driven, more and more brands, designers, and companies are weighing these varying costs of utility and design patents against the time to market. The ultimate goal being to protect the underlying technology. So more and more attorneys are now working very closely with the design teams to streamline this process. When looking at this in an international context, there are some major differences to remember. For various IP protections, unlike here in the U.S., the right holder is protected as first to file, not first to use. Internationally, you have to make sure any public disclosure will not have barred one from achieving trademark or patent protection. Roxanne Elings went on to discuss the internet and the ongoing issues this presents, especially counterfeiting. Sites are popping up all the time and with a lack of IP respect in a global sense, to just the sheer amount of these sites, brands and designers are often stumped as to their options. It’s now more important than ever to make sure you are aware of the laws here in the U.S., but also the protections available to your business abroad. At this point, where a one, fully effective law is not an option, you have to make what’s existing, law-wise that is, work, whether that’s here in the U.S. or abroad say in France. Just being aware and know the protective scope are already steps in the right direction. Michelle Marsh continued on with IP protections, what sorts of options and programs are available. You have to look at the protections again not just based on the U.S., but if your plan is to sell globally, you have to include international protections in your budget. It’s a game of risk since there is no universal trademark application or the like. Strategic plans have to be implemented on what sorts of protection would work best for you and then where you want to have those protections. Of course after time, you re-visit these plans and make appropriate changes if need be. When looking at the global marketplace, looking at where you want to gain the most protection, you likely will consider hot spots, where you are selling, where you might end up at in the future. Another point to keep in mind in the trademark realm, is when it comes to your mark, what is available in the U.S. might not be available elsewhere, so make sure to give yourself options — think differentiation. The discussion came to a close with Pamela Echeverria discussing the specifics of IP law in Argentina. Pamela is a major player in the context of fashion law in this county. She developed the first fashion law blog and she has taken a part in publishing of the first fashion law textbook. NY Model Management is likely well known for its representation of models. But as of late, they might receive a new label – “Likely to Litigate.” Recently, the modeling agency initiated 2 lawsuits, both involving former employees soliciting NYMM models, thus creating a breach of contract over employment agreements that were in play. What is the likelihood of success for NYMM regarding this type of lawsuit? Let’s take a look at each case first! On April 17th NY Models brought a lawsuit against Trump Models and a recent former employee, Lorraine Ospedales, a booking agent. The charge is for a breach of contract over an employment agreement between NYMM and Ospedales. The agency now alleges Ospedales has attempted to contact several NYMM models as soon as 30 days after termination. With regard to Trump Models, the allegation is for aiding and abetting Ospedales’ wrongful actions, causing intentional interference with NYMM’s business contracts. Further, the agency alleges active encouragement on the part of Trump Models to solicit models. Repeated cease and desist letters were sent, but no response was received, and allegedly the attempts to solicit have continued. NYMM is seeking monetary relief (unspecified damages amount) and expedited discovery. Originally, Page Six reported the story with a quote from the Trump Organization’s VP and General Counsel, Alan Garten – “These allegations are completely baseless and without merit. The agent didn’t even have an enforceable agreement [with NYMM], and even if she had, we haven’t done anything to violate it.” This suit was filed over 4 months ago, so my question is – where is Trump Models’ official Answer to the Complaint?? But clearly a lack of an answer didn’t stop NYMM from filing a 2nd similar lawsuit against another rival NY-based modeling agency. This time, NYMM filed suit against Muse Model Management. Again, the agency is alleging a former booking agent, Jackie Sanchez (now working for Muse), breached her contract. Similarly, NY Models alleges that Sanchez approached models, whom she knew were under contract, to induce them to breach their contracts with NYMM and sign with Muse. Here NY Models is seeking half a million in damages. The agreement is set forth in an employee handbook. Ospedales allegedly signed an “Acknowledgment of Receipt of the NYMM Employee Handbook.” I do not have access to the complaint against Sanchez, but it’s likely she signed an acknowledgment as well. There seems to be no mention of a non-compete clause, just a non-solicitation provision, which states — employees who leave are not to solicit or take away, or attempt to do so, any clients, employees, or models of NYMM for a period of 6 months after termination of employment. Ospedales resigned on March 14th, 2014. On this same day, NYMM emailed a reminder of this agreement. Again, I’m unsure if Sanchez received an email, but this might be common practice to send this type of email to former employees, so it’s very likely Sanchez was sent the same email reminder. With regard to Trump Models, NYMM alleges they were aware of this agreement and it’s terms. The agency claims this type of agreement, a non-solicitation clause, is standard in the industry, meaning Trump Models would be aware of its existence. It’s unclear if with the suit against Sanchez, if Muse Models is also being included. But if this type of agreement is common in the industry, Muse would be aware of its existence as well. Employment agreements are used in a wide variety of industries. Companies use them when hiring new employees. Generally these agreements cover 2 main provisions – a non-compete and a non-solicitation. A “non-compete” comes into effect when an employee leaves the company. It might limit where an employee can work in the future or even time periods for direct competitive work. But there are limits to the terms of these agreements, such as the limitations can’t be overbroad, overly burdensome, or injurious to the public. NY disfavors these types of restrictive covenants, including non-solicitation clauses, which is the provision at issue in the abovementioned lawsuits. The policy reasoning behind many states’ disfavor towards restrictive covenants is to show support of an individual’s right to pursue one’s profession or livelihood. With regard to the NYMM lawsuits, we are seemingly dealing with issues arising from a non-solicitation clause only. In this instance, the employer is restraining an ex-employee from soliciting/contacting customers or employees of his or her former employer after employment has ended for up to a certain amount of time. However, Courts will look to the reasonableness of the provision to determine whether or not the it should be given effect. Courts will still scrutinize these provisions to ensure they are not overbroad in scope or too lengthy of a timeframe. In a recent NY case, Brown v. Brown, the court issued a stern warning to employers that they must carefully draft their restrictive covenants if they hope to obtain judicial enforcement; any sign of overreaching in the language of the restrictive covenant may serve to nullify the whole provision. The court is making it very clear that it will not “redline” these agreements — either be reasonable in the first instance or run the risk of getting nothing at all. What does this mean for NYMM? If there are other portions to the NYMM employment agreement that could be construed as being unreasonable or overly burdensome, this means even the non-solicitation clause could be stricken. But what about the specific terms in the non-solicitation clause — “any agency clients or models” & “for a period of 6 months after employment”? In OTG Management v. Konstantinidis, a non-solicitation clause prohibiting the solicitation of “any employee or customer” “for 2 years post employment” was upheld. The court specifically found there would be no unreasonable burden with regard to future employment for Konstantinidis. Similarly then, it could be said that for Ospedales or Sanchez, for an even more limited time of 6 months, that the non-solicitation clause is not overly burdensome or too broad, meaning it could be upheld. Let’s take a look at a non-solicitation clause where a court found it to be unenforceable, Eyes of the World v. Boci. The provision called for a 1 year time frame, “following termination for any reason”, “to not provide Salon Services in NYC to any client of Eyes of the World for whom you provided services to during the last 12 months of employment.” The court found this clause to be overbroad, burdensome to the employee, and unreasonable in its limitation. But as compared to the NYMM clause, this provisions seems to also incorporate a non-compete, in restricting where one can work. NYMM’s provision makes no mention of where a former employee can work. With regard to the terms provided in the NYMM complaint, it would seem that for only a non-solicitation clause that it would likely be upheld since it’s not overly burdensome or overbroad. But if other provisions of the employment agreement were not of this same nature or language, the court might conclude differently. In addition, even if the clause is deemed enforceable, there is still a matter of proving breach to the agreement. Fashion Nexus plans to keep an eye on the development of both of these lawsuits to see how additional facts that are brought into the light might impact my initial analysis! I have to say the answer is surprisingly yes, being that the final, long awaited settlement was finally filed regarding the last of the Kardashians’ cosmetics brand’s legal disputes. 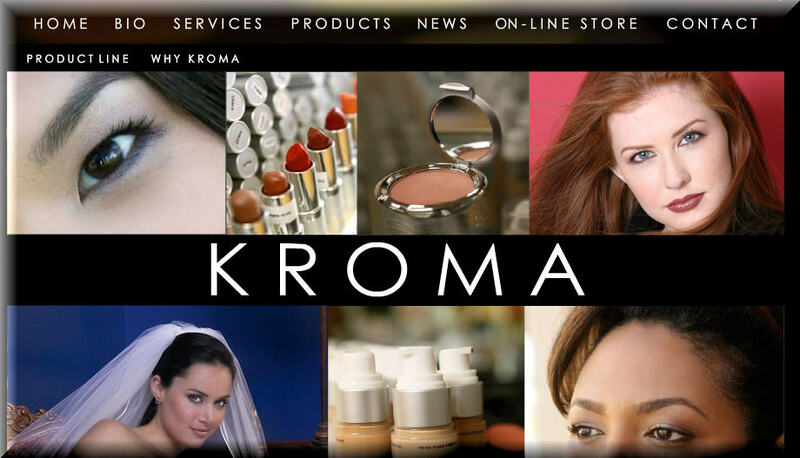 The Kardashians’ cosmetics brand, originally “KHROMA”, now “KARDASHIAN BEAUTY”, has certainly faced its fair share of legal challenges since launching in November 2012, with two separate lawsuits quickly initiated. Fashion Nexus has been there every step of the way with any major updates such as the grant of a preliminary injunction and then with the Kardashians’ brand’s name change for their mark. 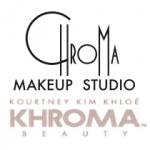 The first legal challenge to the KHROMA mark came from CHROMA, a Beverly Hills make-up studio. A settlement for that action was filed on November 14th, 2013. I was surprised this suit was settled first being that an injunction was not issued regarding this suit. But finally, the second settlement came in on April 18th, which was between Boldface (the company who holds the rights to the Kardashians’ name and likenesses) and KROMA, the cosmetics line/brand owned by Lee Tillett. The Notice of Settlement states that it would be for the entire action and provided for “certain actions to be taken over a period of time.” The parties requested a stay for the entire case until February 15, 2015, at which point a stipulation for dismissal would be filed. The court questioned nothing except for why it would take so long to file a stipulation for dismissal. The court found a stay to be unnecessary “given the Court retains jurisdiction to enforce the settlement.” The parties were ordered to file a stipulation for dismissal no later than May 23rd, which was later extended to June 2nd. The Daily Mail reported that the sisters attempted to distance themselves from this case, “asking the judge to dismiss them from the suit as they claimed they were not involved in the running of Boldface.” I am unable to find any such request in the case’s docket history. But the thought isn’t so shocking when you consider just how many losses the Kardashians experienced during the pendency of this case. A preliminary injunction was granted in early 2013. The Kardashian team then sought a stay with the 9th Circuit Court of Appeals in order to reverse the grant of injunctive relief, but on May 31, 2013 the motion was denied. The Court of Appeals agreed with the lower district court holding that the 4-factor test for a preliminary injunction was satisfied – (1) a likelihood of success on the merits; (2) irreparable harm to Tillett; (3) a balance of equities were not in favor of Boldface; and (4) no best interest of the public. A permanent injunction was then granted on August 13, 2013. This grant was probably the clearest sign that Tillett was likely to win her case. In fact, it was specifically one of the factors she had to prove in order to receive injunctive relief! But rather than settle, the Kardashians moved for summary judgment on November 26th, 2013. But I’m guessing after yet another strike against Boldface came to surface that finally the right move to settle came to fruition. On November 27th, 2013, Tillett and Boldface filed a “Report to Court”, which was made to bring to the court’s attention inadvertent violations of the injunction. 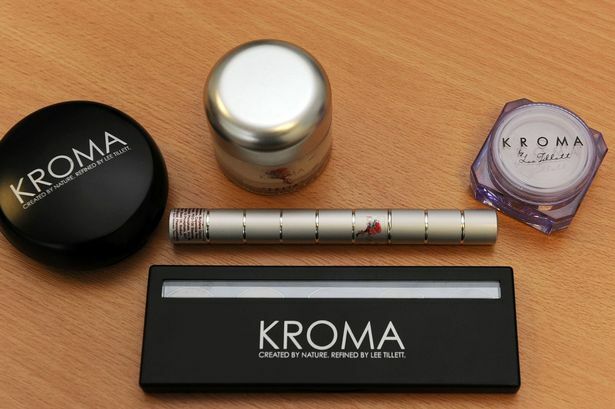 Boldface’s report attempted to explain how over 3000 boxes of KHROMA branded products were shipped after the effective date of the injunction. On March 20th, 2014, the Court held Boldface in civil contempt for “failure to comply with the injunction” with regard to certain shipments. I’m sure if the Kardashians wished to distance themselves, it was likely regarding this huge oversight! But as far as being dismissed from the case entirely, this was highly unlikely since the question was never about how Boldface ran their business, but about trademark infringement over the use of the KHROMA mark. While it’s likely the Kardashians were not directly involved with the violation to the injunction, it would not be enough to dismiss them from this case. They made the decision to use this mark and embark upon this long battle with Tillett. The decision to fight versus settling occurred for over 2 years. It’s very unlikely the Kardashians or their legal team didn’t have a say-so with regard to the legal moves for this case. In fact, I’m almost 100% positive their agreement with Boldface would have established their retaining of rights when it came to issues of infringement or other legal disputes. This is quite standard for licensing agreements. I will go ahead and end on that note. It appears this case is finally coming to a close so I guess so too should my rant/soapbox! I’ve always called that a settlement should happen here and I’m happy to report now that it has! I still explain the multidisciplinary concept. Fashion law encompasses contracts, corporations and intellectual property (copyright, trademark, design patents, etc.). I also quickly mention the field is still evolving. The east coast, right here in NYC, already started to help develop this field and the study of it. But the west coast has also found its niche as well. 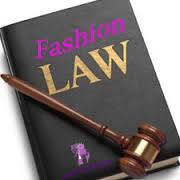 I think with this trend of fashion law programs at law schools, the field will develop a clearer vision and maybe, just maybe, the confusion will start to clear up. 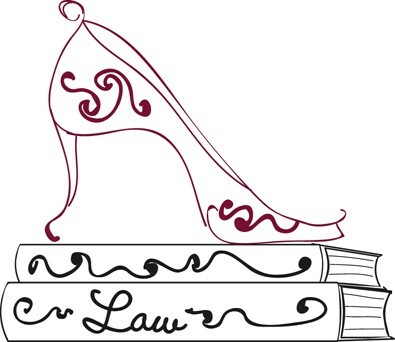 Fordham University School of Law launched the Fashion Law Institute, several years back and is the world’s first center dedicated to law and the business of fashion. The Institute offers training for the fashion lawyers and designers of the future, provides legal services for design students and professionals, and makes available information and assistance on issues facing the fashion industry. This program was founded by fashion law pioneer Susan Scafidi; she literally created the first fashion law course! Most law schools are still in the earliest of stages when it comes to fashion law and that is just offering the course — Fashion Law. But when you are at a school that offers half a dozen fashion law-related courses, it makes the study, the practicality and really the field much more clearer; you can better understand and grasp what fashion law is. The courses offered are — Fashion Law; Fashion Law & Finance; Fashion Ethics, Sustainability, & Development; Fashion Modeling Law; a Fashion Law Practicum; & Fashion Retail Law. So right there you can see what else is encompassed by fashion law — ethics, business development, finance, retail, modeling, etc. But one school on the map was hardly getting the message across. The west coast, Los Angeles to be specific, is now staking a claim to the development of fashion law. Loyola Law School, just this week, officially approved the launch of the school’s fashion law institute at its LA campus. LA also has a booming and thriving fashion industry, as is clearly seen in NYC, and so now LA will have its share of fashion-minded lawyers. The Institute will allow law students the ability to get a certificate in Fashion Law by taking four fashion-specific courses. The focus will be on issues such as industry-specific contracts and law related to celebrity endorsements. Students must also take classes in related topics like intellectual property. The certificate will be available to the class of 2015. Courses already on line are — Fashion Law; Fashion Law Business Transactions; a Fashion Law Clinic; & Fashion Modeling Law. I’m unsure if these were already being offered, but I’m sure more courses will be added or further developed with the certificate now in play. I am in love with this concept and Loyola will be encouraging exactly what I am doing right now — interacting with nonlawyers in the fashion industry and getting real world experience with emerging designers. Fashion law is growing and I’m sure in the next few years, more people will understand the practice better. Hopefully more institutes will continue to pop up, but it’s still great that so many other universities at least have fashion law as a course. More and more firms and attorneys are dedicating work to this field. For me, wanting to work in this field, I am grateful that my school, New York Law School, offers Fashion law and most, if not all, of the intellectual property courses. It would be nice to have 1 or 2 more though! But I’m also thankful to have started my blog and really get out there to meet people in the fashion industry. I’m looking forward to the road ahead. Will my design meet the patent requirements? How much protection will I be afforded? Will the design still be relevant, in terms of success and sales, when the design patent is granted? Before even attempting to obtain a design patent, one must see if their design meets the rigid requirements. There are two types of patents. First, there is a utility patent, which protects the way a product is used and works, such as machines. Second, there is a design patent, which protects the way a useful product looks. So right from the definition, is a requirement in the product being useful. Further, there is a requirement that the article be new, original and ornamental. Thus far, with fashion, clothing has not had the most success, but there are a few success stories. One such example is from True Religion, a brand of denim/jeans. The patented area is solely to the ornamental stitch pattern applied on the jeans. The design patent gives the owner the right to prevent others from making, using, or selling a product that so resembles the patented product that an “ordinary observer” might purchase the infringing article, thinking it was the patented product. But this brings up the next question a designer would need to consider, what is actually being protected? When it comes to obtaining a design patent, it doesn’t mean a designer still won’t have to work at maintaining that protection. Take a look at the design patent example with Stella McCartney. A design patent was granted for the successful mesh polka dot dress from the brand, the “Lucia.” The only portion of this dress that receives protection is the dotted portions, including the dots. So while yes, if another dress had the other areas in a different fashion or form, but still utilized the sheer cutout polka dot style as Stella does, it could be infringement. The key component is that a court would likely require that for infringement, the competing garment would need to utilize dotted portions of the same shape and pattern. 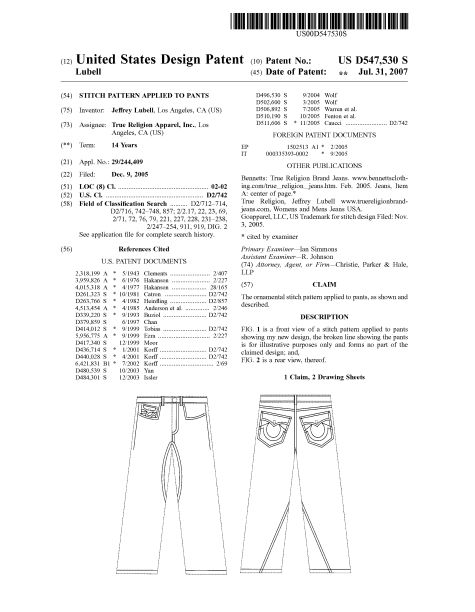 In examples such as with Stella McCartney, or True Religion, the design patent is very narrow, only to the patented portion, which may or may not disallow others from still designing similar pieces that is not deemed infringement. There are several other factors that a designer must consider before moving forward with acquiring a design patent. It may be that their work meets the requirements and could offer some protection, but the remaining factors all go to 1 main question, is it all worth it in the long run? One such factor area to consider is with that of time. It could take up to a year or even longer to be granted a design patent. If the designer chooses to continue selling a piece before then, there is still all that time where no protection is being granted. A designer might consider holding off on a piece that could receive protection and this goes to a 2nd factor. This factor being, if waiting with all that time in this process, will this design still be relevant? Fashion trends and style are always changing and evolving as seasons change and upon new trends emerging. A piece that might work now in Fall of 2013, may not be a trend or succeed as well the following year. Most likely, a designer would want to patent a piece that is truly a staple with fashion, a piece that would rarely go out of style and a garment that could be worn for a long time to come. Looking back for example to the True Religion jeans-jeans are items that will always be worn and generally don’t vary much in color so the chances of jeans not being relevant are slim to none. Even in the case of Stella McCartney and this dress, it is also the case that this dress could be relevant and successful for many years to come. I am sure the dress is offered in other colors, but even just with black, a woman’s need for a great black dress to be included in her wardrobe will always be a necessity. Trends such as sheer effect, polka dots and cutouts are also seemingly trends that will be used in garments for many years to come. Finally, a designer must consider cost. This process would likely require the use of an attorney and all of the filing fees. This cost should be weighed against potential success of the patented garment and if it fits within the designer’s budget. There are some modern case examples one could look at and a few perhaps appear that the design patent and process do yield a certain amount of protection to designers. Victoria Secret released the bra, 100-way strapless convertible bra. However, Katherine Plew alleged that this bra was covered under her registered design patent. The issue was that the loops on the bras, whole not placed in exactly the same location, did create a result of arranging straps that was effectively the same. This case ended up settling. 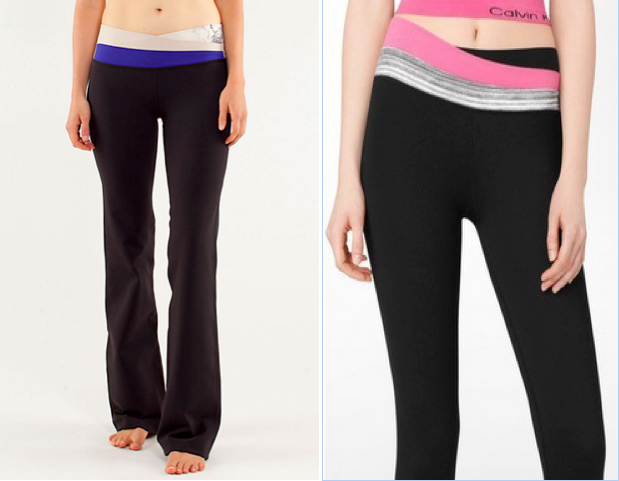 There was also the case with LuLu Lemon and their accusation that Calvin Klein was selling yoga pants, which were infringing upon their design patent. 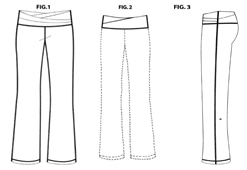 LuLu’s design patents were encompassing of a waistband for one pair and then the styles of the yoga pants for the other pairs claimed as infringing. This case, also ended up settling. In summary, the prospects of obtaining a design patent should be considered when the innovative work involves a product having unique ornamental features. There are recent cases that demonstrate that a designer can protect their designs thru this process, but the designer must still make certain that their own design fits the requirements. The possibility of obtaining other forms of intellectual property protection, in addition to the design patent, should also be considered. The Kardashian cosmetic brand legal drama is the 1st fashion law issue I ever wrote about. 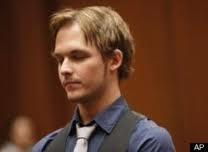 I am going to keep updates coming as all of the legal details unfold because I want to follow it from start to finish. I believe that a settlement should occur and so I am hoping to report that aspect one day! I wasn’t sure if the recent updates were worth reporting yet, but after some research I am very eager to blog about 2 areas, the first relating back to a legal series I just recently blogged about. With my own legal series I am writing, it is all culminating to exposing some very serious legal issues that the fashion industry must face. One major area being the lack of protection afforded to designers and for other aspects of the fashion industry. I will leave that soapbox for another day. Today I am posting about the serious practical issues for trademark law today and demonstrating it thru this case. Lee Tillett, owner of Kroma Cosmetics, is just one of the opponents the Kardashians/Boldface have with their legal battles. Tillett, while successful, is comparatively a smaller business model to that of the Kardashians. However, she took the time and budgeted the funds to register her mark with the USPTO, with of course, the hope being that her mark would be sufficiently protected. However, that is not the case as it’s presented today-a brief recap of the Chroma v Khroma v Kroma battle. No final determination has yet been issued from the court. Neither has an official settlement been reached. However, in the meantime, Tillett’s smaller company must continue to pay legal fees and bonds to ensure that her mark remains protected. It’s truly a sad day that a company who abided by the law is now having to pay more just to ensure enforcement of protection. Even though I believe a settlement will occur, it might not cover all of the damages or legal fees Tillett has accumulated. But the public can help! Friends of Tillets have created a webpage , twitter and facebook forum for any members of the public to donate to her cause. These are great sites to look more into if this issue has sparked your interest. If you believe in the cause and if you have the capability to assist, I would urge you to do so. Getting back to the actual case updates, it is official that Boldface’s motion for a stay on the injunction has been denied. Tillett was also able to successfully lower the cost of the bond to secure the injunction to go from $50,000 to $5000. Perhaps the biggest update is that the Kardashians filed for a new trademark application for that of KARDASHIAN BEAUTY. These products are already in full force and are on the market-CVS, Ulta, UK website, Facebook and Twitter. However, my recent visit to check the official status of the mark showed that initially, it was denied. A couple of issues were raised and so now the Kardashian legal team must address those issues in order to receive federal trademark protection. One of the issues is a familiar one to Boldface and that is the likelihood of consumer confusion. It’s a bit odd however that the cited marks that KARDASHIAN BEAUTY is too similar to are marks already registered by the Kardashians. Other issues are the relatedness of the goods and trade channels, but more specifically is that all of the marks feature the term KARDASHIAN. The other issue is that the mark is merely a surname. The USPTO does recognize that it’s a rare surname, but that combining a surname with the generic name of the goods doesn’t overcome this issue. So this is not to say that the mark, since its already in use, will not ever receive federal trademark protection, but it brings up some questions, again, for me about the level of diligence the Kardashian legal team is providing. Attorneys are generally the ones who file the trademark application, so now, 2 have been filed and rejected by the USPTO. I question if due diligence existed with the research and use for either of the marks. I also question counsel being provided to the Kardashians on pursuing other names or taking alternate courses of legal action. Rather than appealing the initial trademark rejection, attorneys filed a declaratory action for the Kardashians-basically skipping an integral step of the Trademark process. Being that no settlements have been reached yet, I’m questioning the advice being given for this area, at any point during litigation. Legal teams have instead vehemently argued against an injunction and lowering of the bond amount and for the stay of the injunction, all of which were denied. It appears to me that there was some knowledge, yet no great advice given to deter the use of a mark that would certainly face legal troubles. If this was the plan for the Kardashians to have a successful cosmetic line, I’m not seeing how these courses of actions will help in that regard. My hope for the future is that this all does come to a quick end and that more diligent legal efforts are offered to the Kardashians. So last week I did 2 featured retail posts, one for BaubleBar and the other for the ID Pop Shop at Chelsea Market. 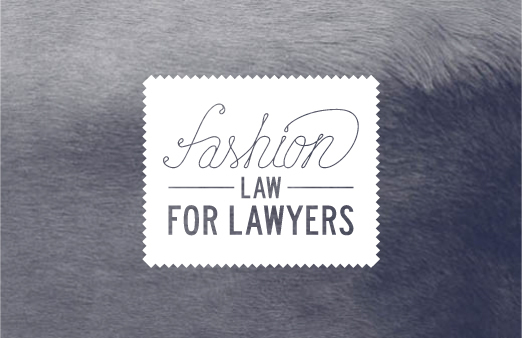 Therefore, this week, I am writing 2 legal posts-reminder of the one posted earlier this week, an Introduction to Laws Affording Protection to Fashion Designers. This post is going to discuss the legal background of the story of the infamous Hollywood Hills burglaries. The reason being is because the recent release of the film, The Bling Ring, which portrays how this whole story allegedly occurred. I wanted to do a post on this topic for my fashion blog because it would allow a bit of a legal analysis to a bit of a different realm versus that of trademark or copyright law. Another reason, is this burglary scheme was a major operation that occurred just recently and a lot of what was being stolen was name brand items from celebrities home. In researching this topic, I have seen that these teenagers believed their victims were fashion icons and the desire to own these major fashion pieces or items. I want to see how the movie conveys that aspect of this tale, but for now, as this is a more legal post, lets look at those facts. The basic synopsis of this series of cases, is that a group of teenagers in California, burglarized the homes of several celebrities from the end of 2006 until mid-2009. Reports indicate that the total amount of burglarized goods was around $3 million. Over 50 homes were targeted, while much less than that were actually broken into, with Paris Hilton actually being one who was robbed several times. Other victims included Audrina Patridge, Rachel Bilson, Orlando Bloom, Miranda Kerr, Brian Austin Green, Megan Fox, and Lindsay Lohan. This group was able to mastermind their burglaries with this plan- use of Google Maps to find their targeted homes and uses of the website celebrityaddressaerial.com and determining when the inhabitants would be away by researching their schedules through websites including Facebook and Twitter. Items being taken were a vast array of fashion brand clothing and jewelry. Some of the times it would be with breaking in, such as with Hilton’s home, the door was found to be unlocked. 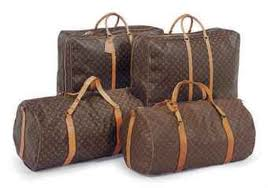 More specific items taken were a Rolex from Bloom and Louis Vuitton luggage from both he and Kerr. So how did arrests and convictions happen? An anonymous informant tipped off about the Lohan burglary. One of the members of the goup’s face was captured on a surveillance camera. Prugo was the first to be arrested and later confessed with no plea deal struck. He informed the police of future targets and the past crimes. Two weeks later, police obtained search warrants to search the other members of this group’s homes. The other members were then arrested. So here are the members of this group, their involvement, and resulting convictions and information. Rachel Lee is the alleged ringleader of this group (not in photograph above). She was reported to have had a good upbringing and certainly wasn’t needing to steal clothes. However she likely did due to obsessions with these celebrities, reality TV and wanting to be on the same fashion level as her fashion icons. Lee did end up serving time, but after a little over a year was released on parole. She did make a plea of no contest to the burglaries. Charges of conspiracies to commit burglary and even involvements to other burglaries were dismissed. Nick Prugo was one of Lee’s best friends, bonding over a love of fashion. Issues of drug addiction were at play with his role in the group and in some of the burglaries. He also pleaded no contest and was sentenced to 2 years in prison, but did not either serve his full sentence. Alex Neiers-She was reported to have had trouble at home and even lived with Prugo for a short time. She also made a plea for residential burglary and was sentenced to 180 days in jail, additional three years of probation, as well as being ordered to pay $600,000 worth of restitution to Orlando Bloom. She was released after 30 days served and even spent same cell time when alleeged victim Lohan was also serving time! 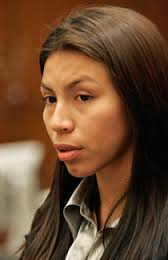 Diana Tamayo-She also made a plea of no contest and was sentenced to 3 years probation and 60 days of community service. Roy Lopez, Jr.-He was given three years of probation for also pleading no contest. Courtney Ames-She was sentenced to three years of probation and two months of community service. Charges against her of conspiracy to commit burglary, burglary and receiving stolen property were dismissed. Johnny Ajar-initially faced with ten felony charges — six counts possession for sale of a controlled substance, three counts possession of a firearm by a felon and one count possession of ammunition, plead not guilty to all of them. Later, however, he pleaded no contest for selling cocaine, possession of a firearm by a convicted felon and one count of receiving stolen property. 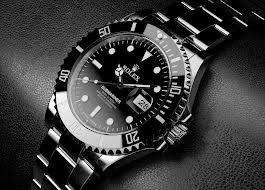 The stolen property charge referred to a Rolex watch owned by Orlando Bloom. Ajar was sentenced to three years in jail. He was released less than a year later. I make a point to still post on this topic, even though dated because there is a re-visit to its relevancy with the movie release. I will post more on that aspect after I watch it. I do think there was a fashion obsession that drove a lot of this crime and I don’t see differences with other more typical crimes. Counterfeiting is major and in part for those who make because they want to make money. For those who purchase the goods, its that need to want to own the major labels, but not have to pay the major price! There are claims all the time of copying and replication, again because of that desire to be in the fashion industry and make money, but perhaps doing it at a portion of the cost. Fashion and the love of it is laced throughout this major crime spree and I look forward to seeing the tale on the big screen to how all that happened developed.